BoxWorks 2017 is underway, and Filestack will be in attendance! The Filestack relationship with Box goes back to the founding days of our company. When Filepicker launched in 2011, our bread and butter was seamless uploading with simple cloud storage integrations. Box was one of the first five cloud source we integrated, and this simply was due to customer demand and their support responsiveness. The Box platform has evolved into a world-class enterprise storage service over the past 10+ years. 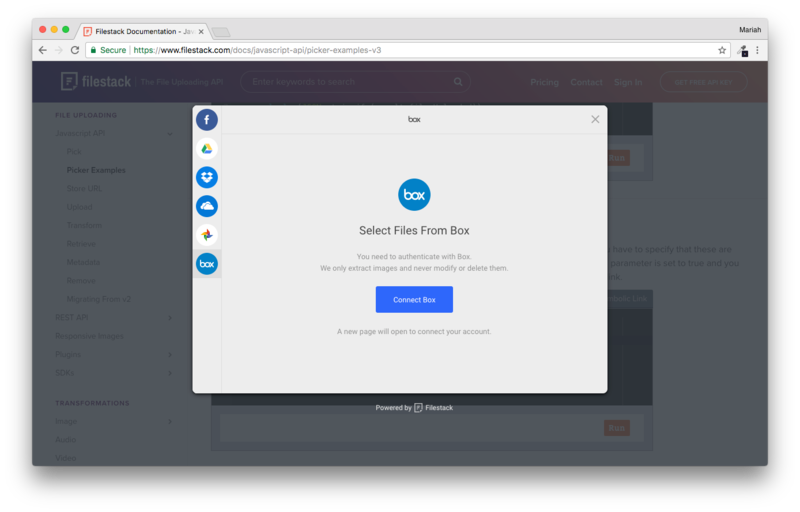 Filestack is continuously tracking this evolution to ensure our customers always are getting the best experience with Box through our cloud integrations. That is why we are attending BoxWorks 2017 in San Francisco. We are excited to hear about new product announcements, meet with other Box partners, share best practices, and continue to develop our relationship with the Box team. If you are a Filestack customer, thinking about it, or just want to talk file management strategy, find me at Boxworks! I’d love to talk you about how Filestack’s Content Ingestion Network, Intelligent Ingestion, and AI services like the Filestack Image Recognition Engine complement the Box platform. Together, we are building an intelligent data solution that will help you get the most out of the data you create and store on-line. Hope to see you at Moscone West!